This really made me smile! Keep up the good work. Maybe Philip needs a girlfriend? Dave, you are spot on! 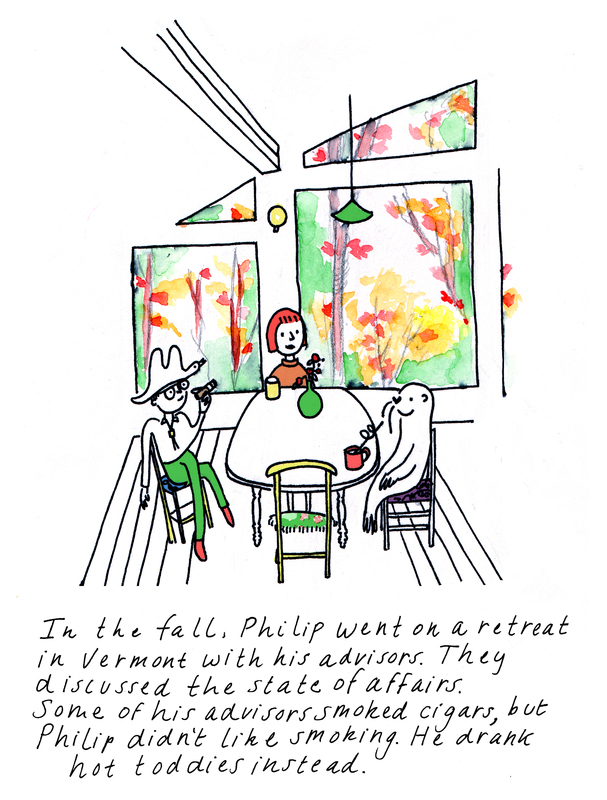 But, Philip has a girlfriend – Tallulah! He met her at the Brooklyn Bowl. You can see her in earlier panels if you scroll down (if you don’t see “more posts” at the bottom, click the archives). I think Tallulah needs to make another appearance soon!